In 1986 J.M. 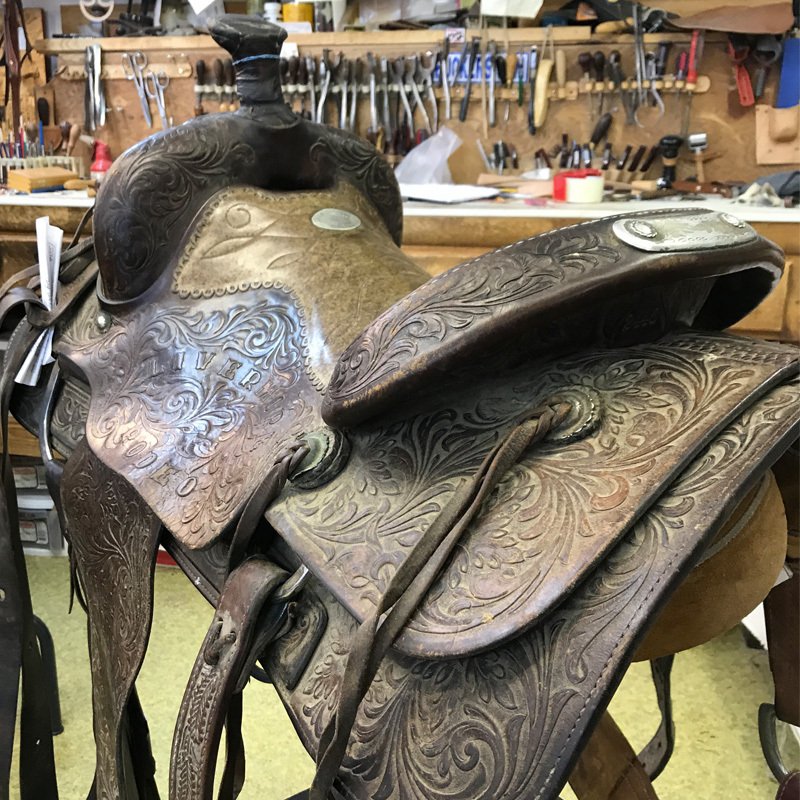 Capriola was commissioned to build a few trophy saddles. 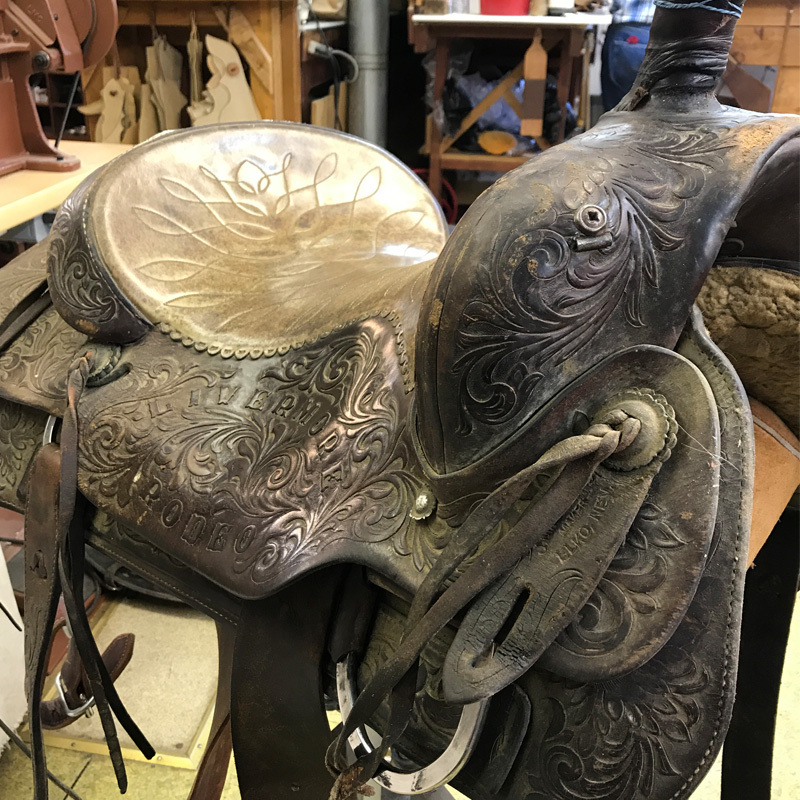 Often times trophy saddles are put on a stand and observed as a “trophy” and left to be seen and not ridden. 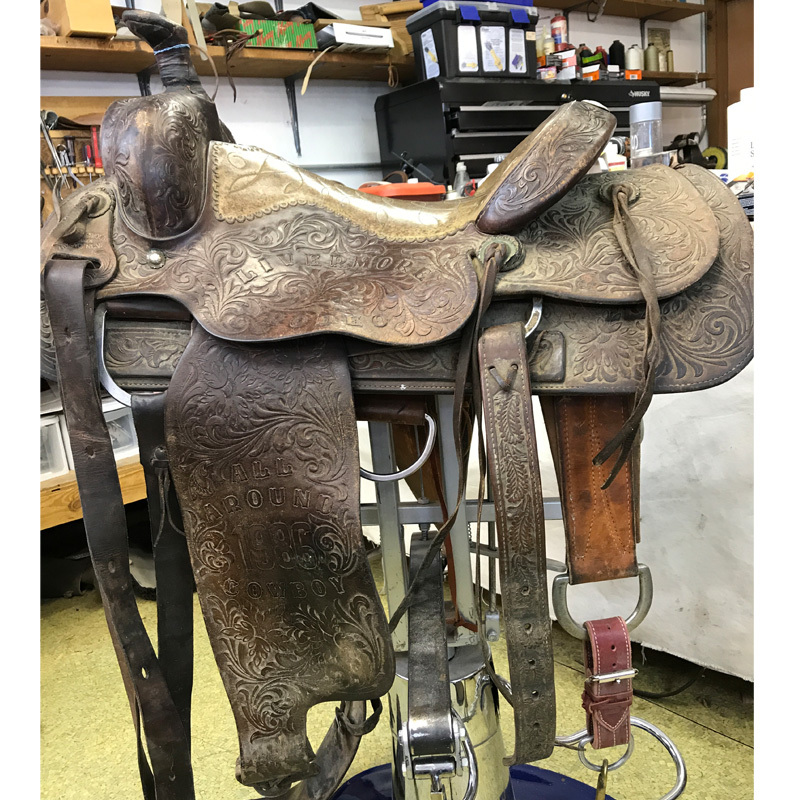 After 31 years we received a call on one of these “trophy” saddles, to see if we could do some repairs. 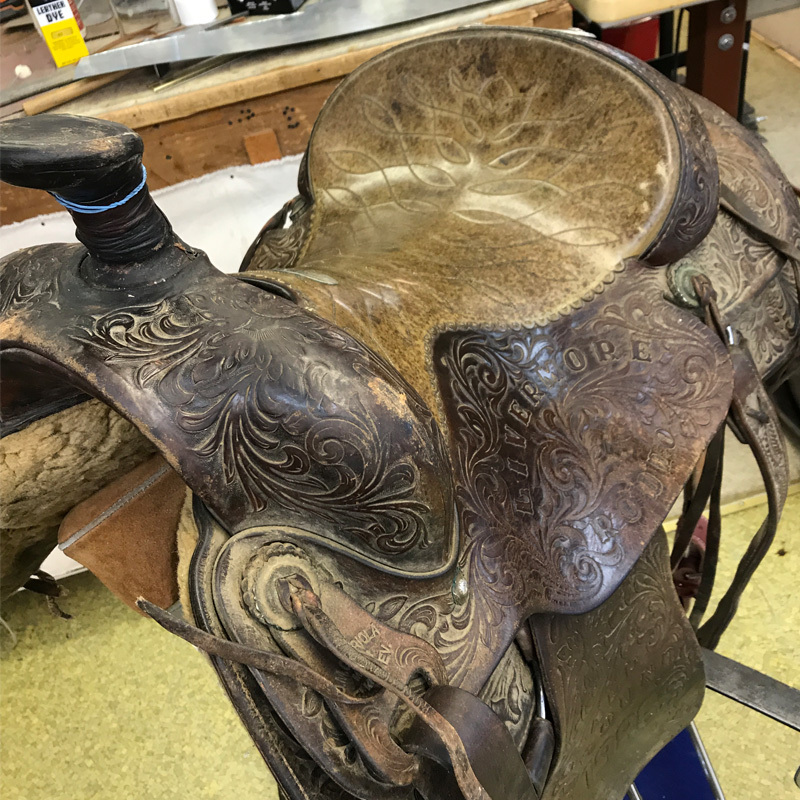 When we received the saddle I pulled it out of the shipping box and looked at a well used rig. Immediately a broken fender greeted me, then a back billet, saddle strings and well, that was it. 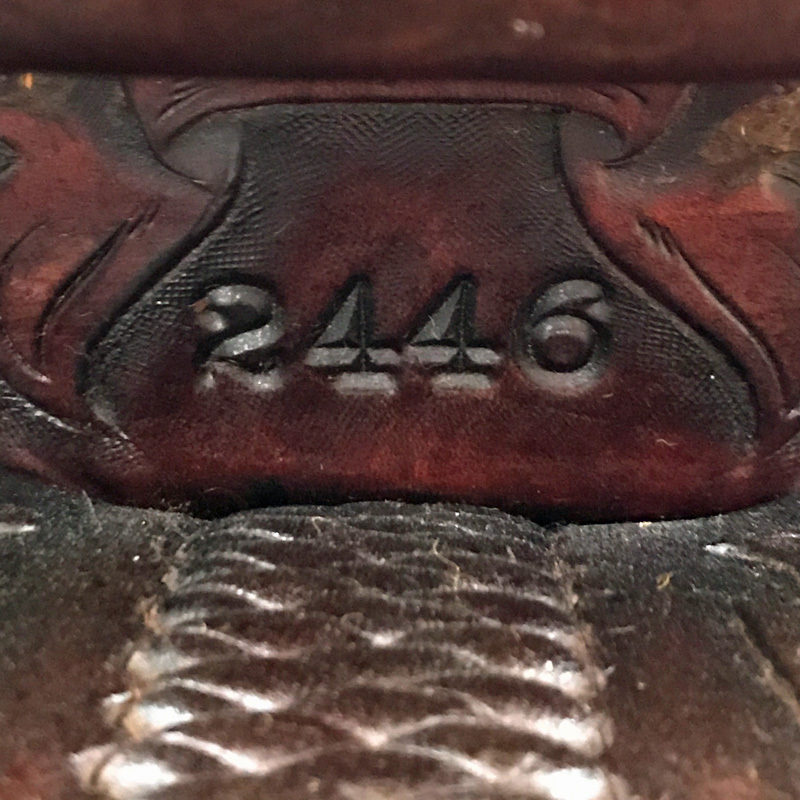 Besides a well used horn and sheepskin lining, this saddle was in really good shape. Immediately, I was liking the tree and the full floral pattern was eye catching. 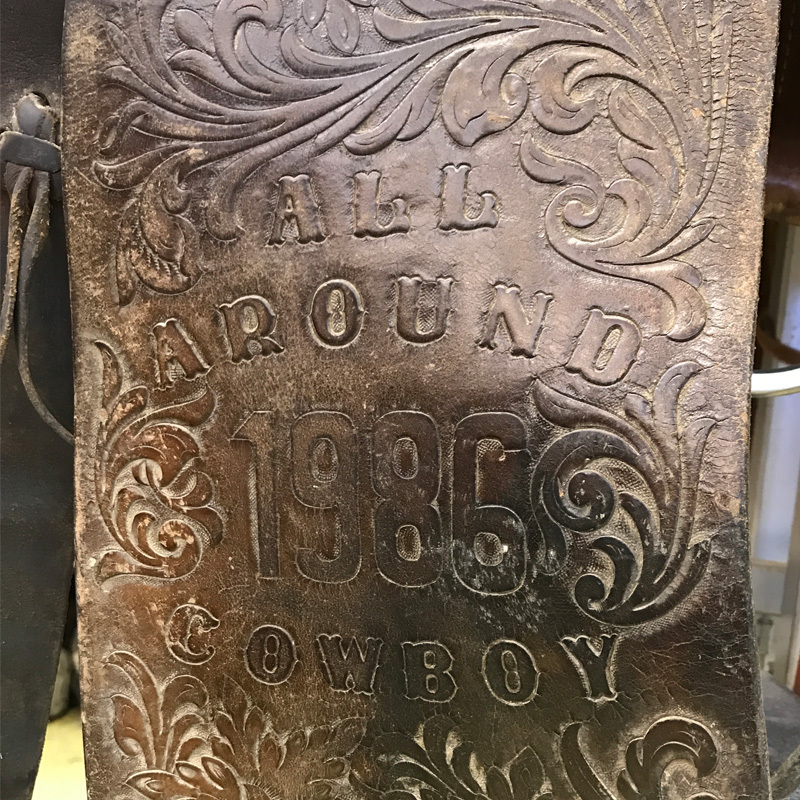 Then on to the lettering……this is when I realized it was a trophy saddle! 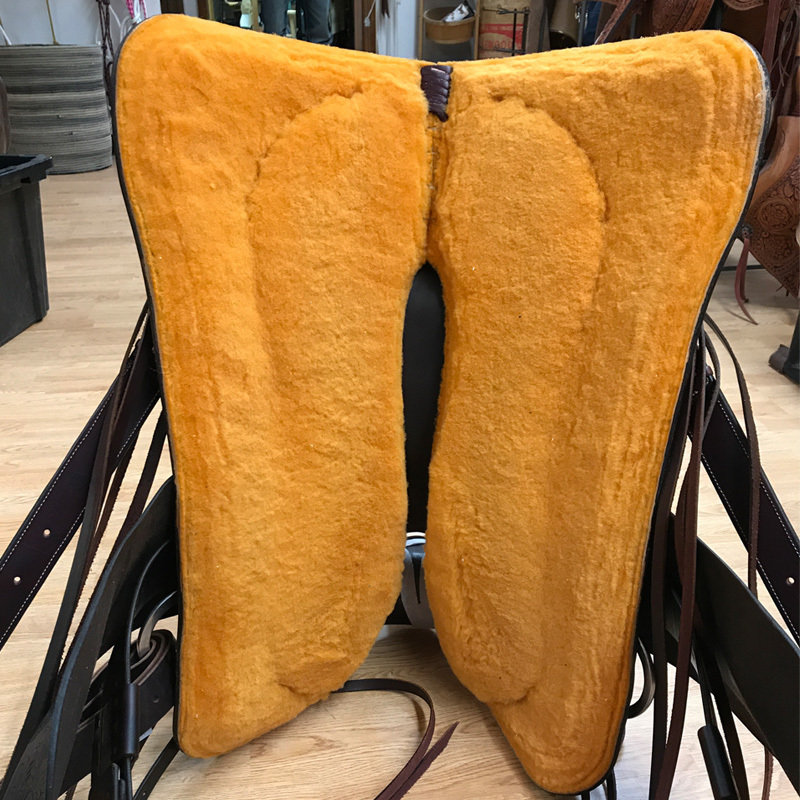 I ran upstairs and grabbed the massive binders with the saddle orders and pulled up number 2446. 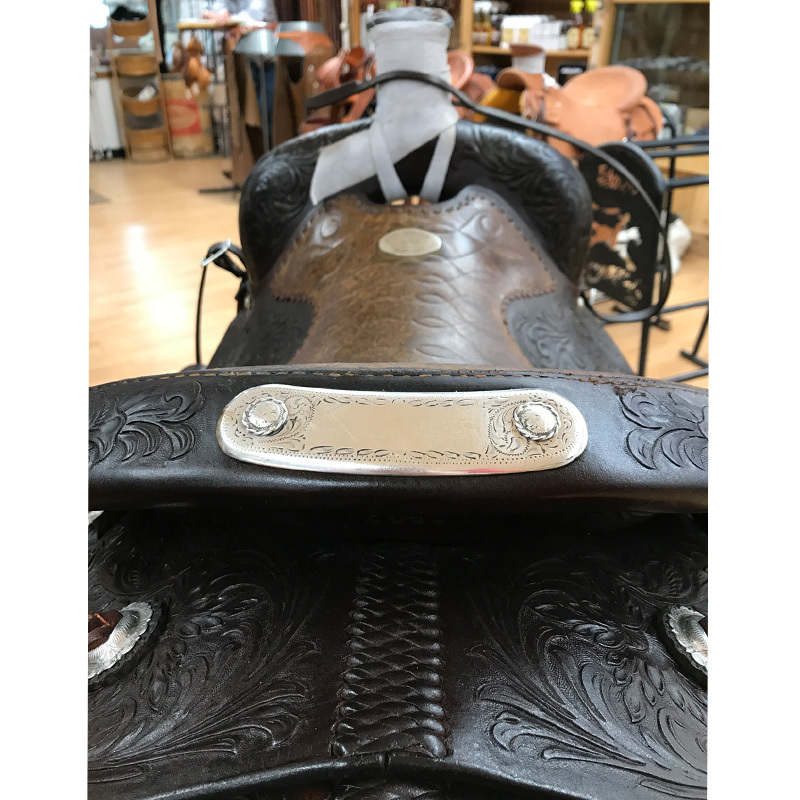 I had to research the history of this saddle……date ordered 2-3-1986 and a quick look over the order and all of the fine details that go into a custom order like the gullet height-width, seat length, fork width, cantle style, seat details, skirts, stirrup leather details, riggin, silver trim and stirrups. 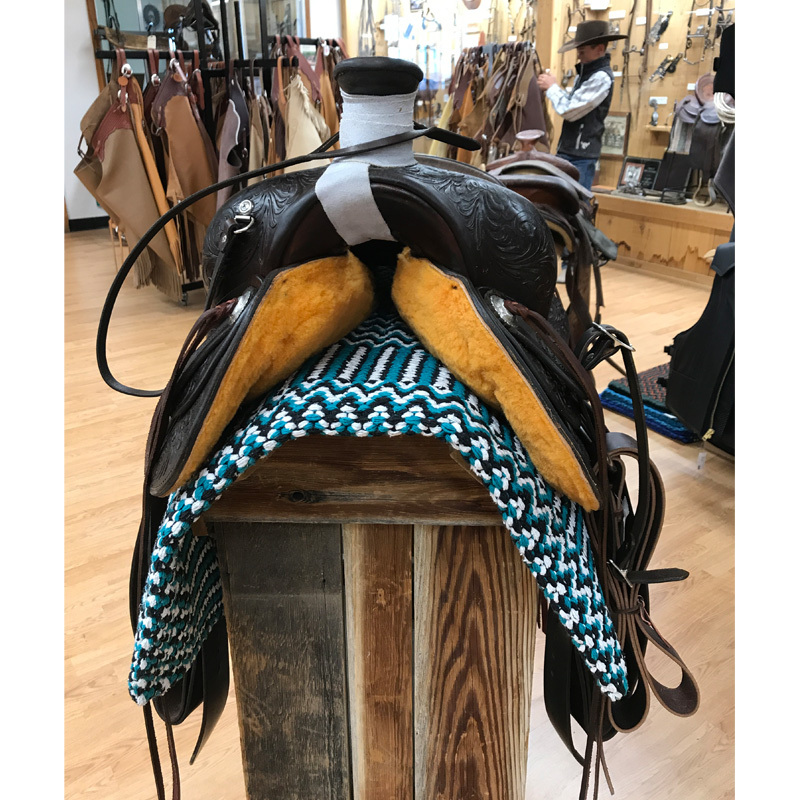 I couldn’t wait to see this saddle’s makeover! 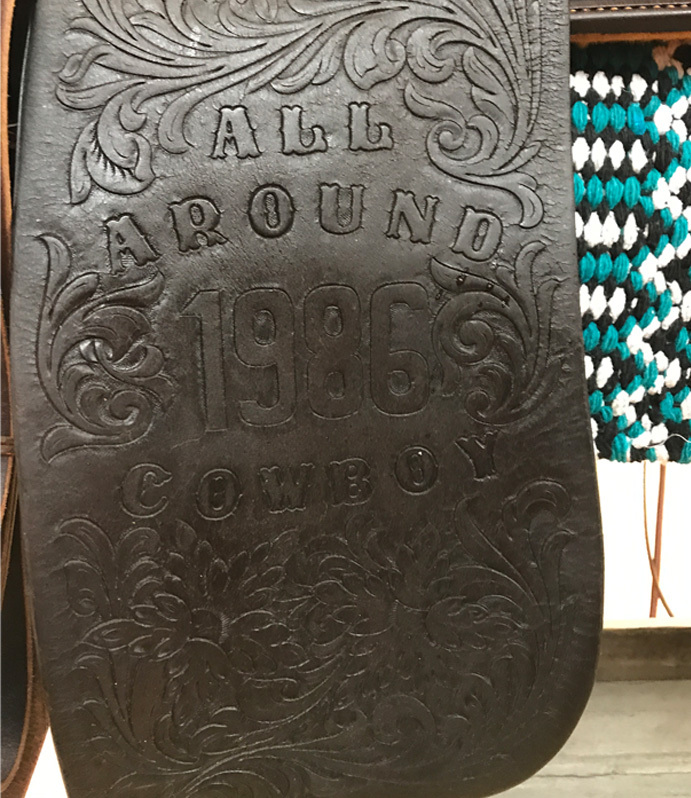 This is one saddle I’d love to personally keep but it’s officially being passed down in the owner’s family. 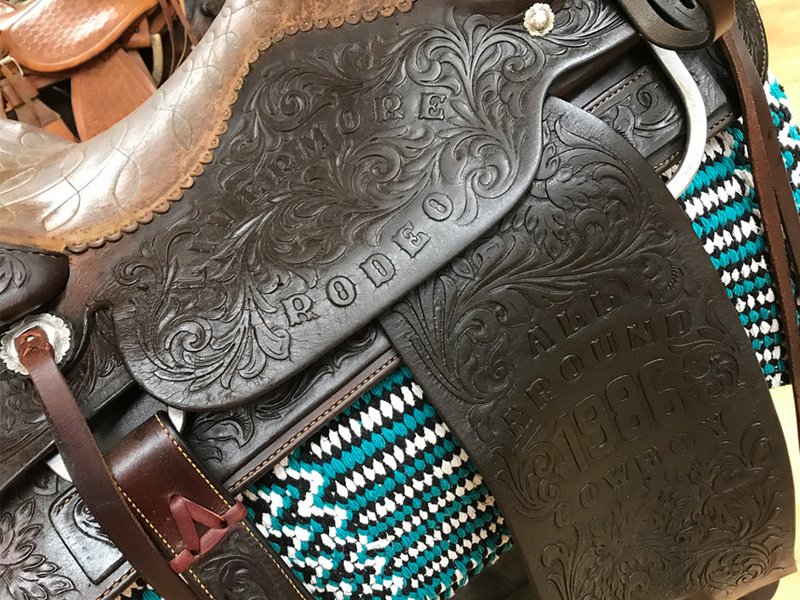 A third generation will end up with this “trophy” saddle. 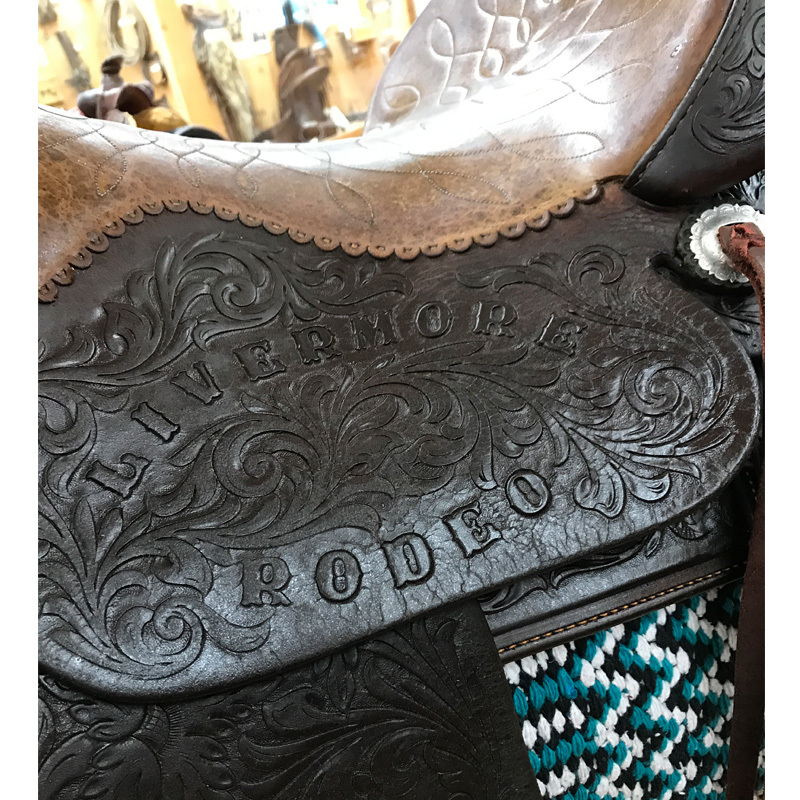 Not everyone who competes will get the chance to win a trophy saddle but for those who do and who have; congratulations. But wouldn’t it be nice to say 31 years later after your win, you could pass it down to another generation? J.M. 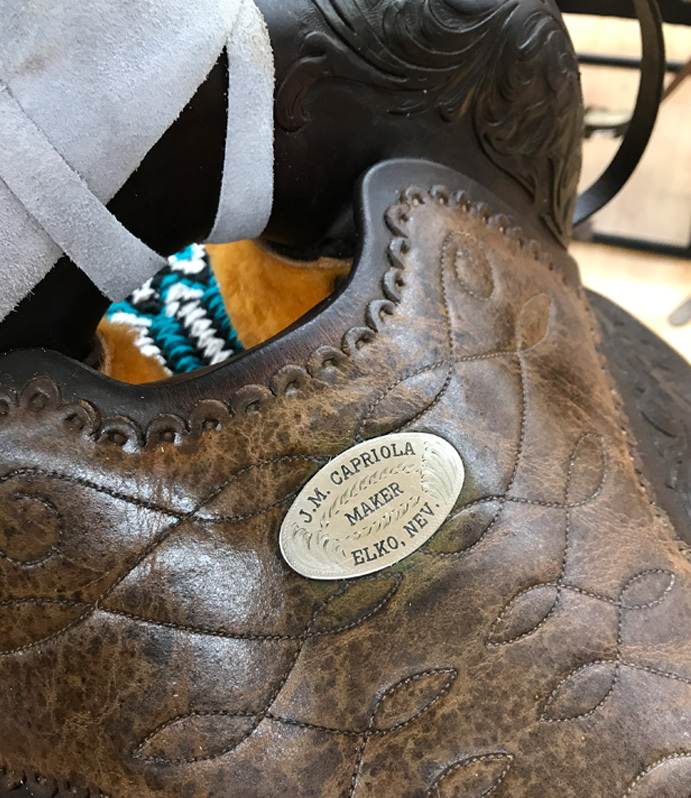 Capriola Co. has been building custom saddles and gear since 1929 and we still make each piece by hand with only the very best materials. One person from start to finish builds each piece that comes out of our shop. 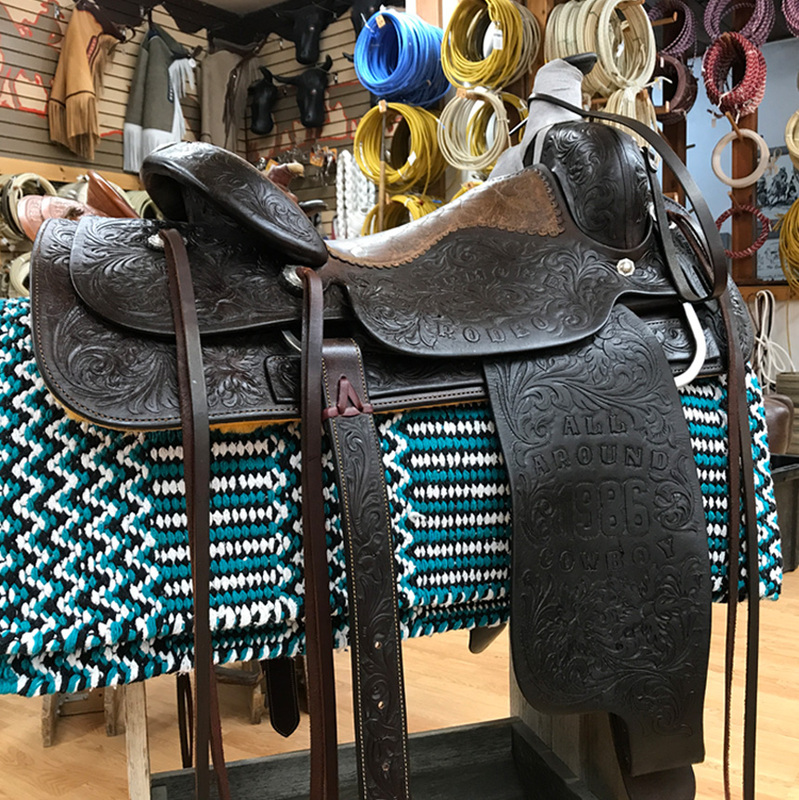 Each custom order is finely tuned to meet every spec for our customer. 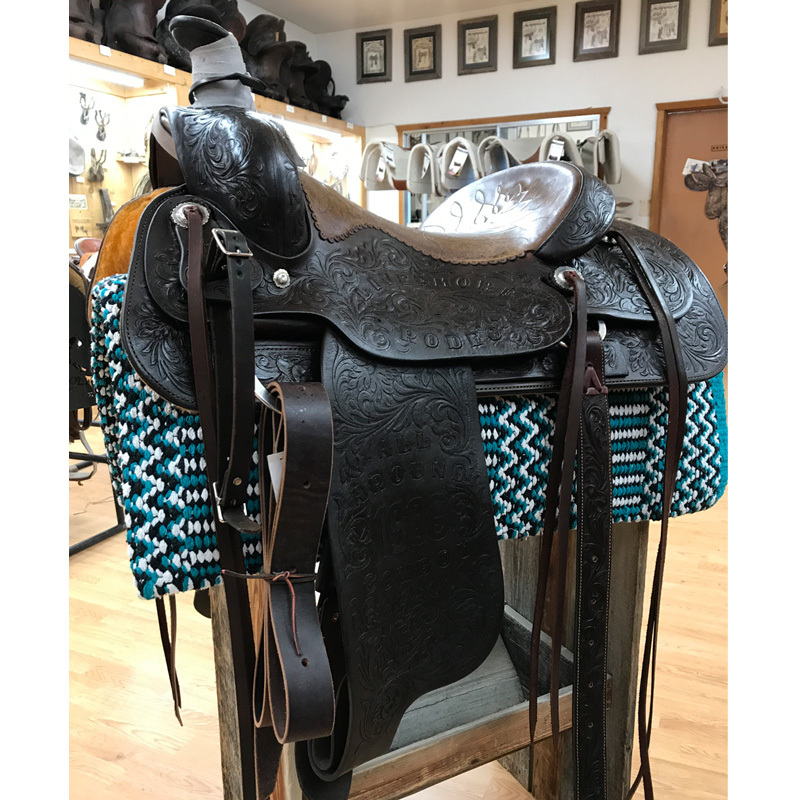 After a complete cleaning, re-built stirrup leather, new sheepskin lining, new back billets, rope strap, stirrup hobbles, latigo, horn wrap and a replaced strainer cover here it is. Good as new and ready for the next generation to enjoy!